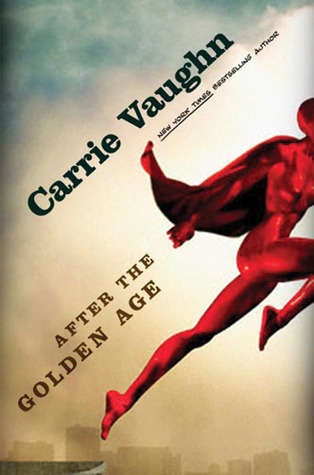 This entry was posted in Amanda Carlson, Carrie Vaughn, Gerry Bartlett, Janet Evanovich, Kimberly Frost, Mary Janice Davidson, Stacking the Shelves, Suzy Cox. Bookmark the permalink. Once again I haven’t read any of these books but I hope you’ll like them :). I love Queen Betsey! Number six is good. 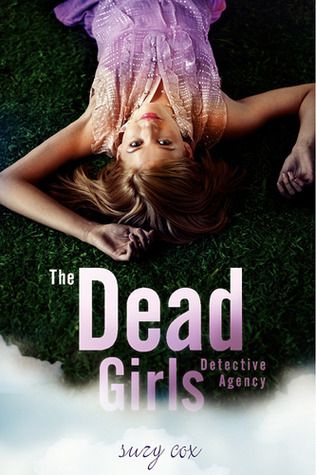 I also love Stephanie Plum but I’ve only read the first three in the series so far. Happy reading! non quand meme pas lol, regarde j’ai queen betsy en français (il fait l’intru je sais). J’ai énormement de livres en français c’est juste que je dois en lire un pour 3 anglais. En ce moment je suis un peu à la bourre à avoir pris des livres de partout de maisons d’éditions et d’auteurs, du coup c’est plus anglais. Merci beaucoup! 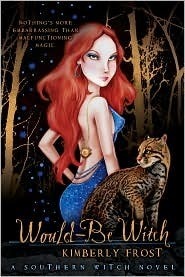 Would be witch est une série assez sympa, Kimberly Frost a toujours des couvertures originales. Melliane, I’m so glad you’re giving a try to After The Golden Age! ;))) I hope you like it. I’m also super jealous of Full Blooded, and will be waiting for your review! Enjoy all your reads! you know what? it’s totally your fault!!! I saw it as a prize on your giveaway and I saw your review and without knowing it was bought lol. I’ve already started full blooded, so curious to know the story. thank you. j’étais assez curieuse aussi il sont au USA fin aout. on va voir ce que ça donne. merci! all of these covers look so fun!! 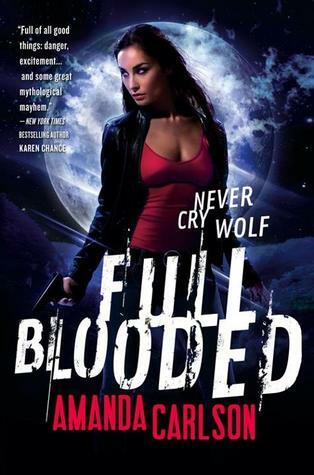 Ooh Full Blooded sounds interesting. Would Be Witch was a cute read. Enjoy your new books. OOoh very nice!! Full Blooded looks pretty good! I will have to check out your review for that one later on! Happy Reading! elle est vraiment sympa, il faut aimer la chick-lit mais ça passe tout seul. I often think the same when I see your new books. I can’t wait to start them all. Great Books! They sound great! although i have neer heard of them before! Oh oh…Chouette butin dis donc! Le Carrie Vaugh m’intrigue beaucoup même si n’étant pas fan de Kitty Norville, j’attendrai sans doute ton avis. Le Kimberly Frost est dans ma PAL. “Real Vampires Have Curves”, c’est celui là dont tu me parlais en le comparant à “You Slay Me” ? Le carrie Vaughn c’est à cause de Karina et son super avis dessus! On verra ça a l’air sympa. J’ai deja lu tous les kimberly frost en fait mais je l’avais pas. Oui c’est ça, c’est le meme genre de livre, mais j’ai d’autres comme ça dans ma PAL aussi comme les terri Garey. Bonnes lectures 🙂 !!! J’espère que ces livres te plairont !!! Bisous !!! Glory St clair, c’est un peu comme Queen Betsy on dirait? bonne lecture avec tout ça! ça m’a donné un peu cette impression aussi, alors du coup je verrais avec la lecture. en tout cas c’est de la CHick-lit paranormale. yes I’m a little anxious about this one, we’ll see how it is. thank you darling! 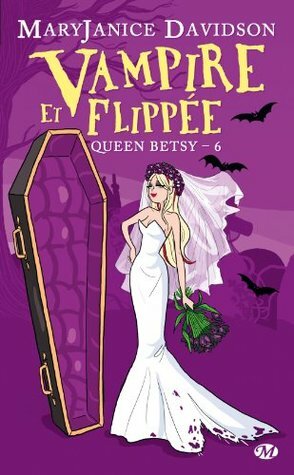 J’ai le tome 1 et 2 de Queen Betsy mais je ne les ai toujours pas lu, les autres livres je ne connais pas du tout mais bonnes lectures !! j’aime bien les queen betsy c’est léger, j’espere qu’ils te plairont. merci! I’m just starting the Stephanie Plum series. I hope it’s as good as some of my friends are saying. Enjoy your books this week! Oh I can’t wait to know what you’ll think about it. I love the series. Great haul. I love the MaryJanice Davidson covers. Hope you enjoy your books and thanks for stopping by. Happy Sunday!!! Yay you got Full Blooded as well!! Woot!! I got my copy last week and I can’t wait to read it. Hope we love it!! I love it it’s amazing! thanks dear! lol even 18 books. But love all of them! I’ve been meaning to start the Stephanie Plum books, but there are so many! I’ve heard they’re good, so I definitely need to start these. And the Queen Betsy books are good, but they do take a darker turn at book 10 than you’re used to. I haven’t heard of the other books, but I’m going to check these out–they look really good! it’s a really fun series! I didn’t know the queen besty would change, I’m curious now. Would be witch donne envie! j’aime beaucoup toute la série, il me manquait juste les livres que je ne possedais pas. Looks like you have some really fun books! 😀 Hope you enjoy them all. And I have Full Blooded here too! I’m waiting a little bit to read it. Can’t wait! Have a great week! I really hope you’ll enjoy it as much as I did. Great books! 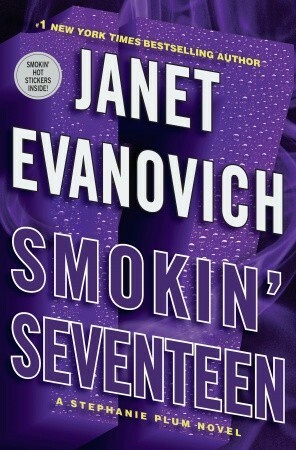 I really enjoy reading Janet Evanovich’s books. 🙂 I hope you enjoy your new reads!